Post-acute care is an increasingly essential aspect of the care continuum for physicians, hospitals and other health care providers. 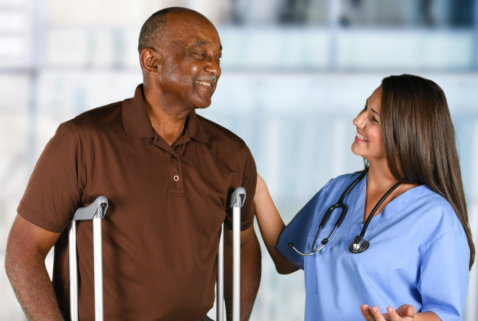 Creating a home health care relationship to extend professional services into patients’ homes is key in coordinating the care necessary to improve patient satisfaction and outcomes, and reduce preventable readmissions. As a leader in the home health care industry, Provider Preferred continuously improves and advocates for the value of providing patients with a coordinated continuum of care. Provider Preferred has invested in clinicians, infrastructure and leadership necessary to deliver quality health care services and care coordination. Give us a call with any questions on how we can further be an asset to your facility, patients, practice or the continuum of care at large. Our simple order’s management platform link (AXXESS MD) is below for your use and is designed to eliminate our facsimile transmissions from being a burden on you and your staff while providing permanent storage for all your orders signed for Provider Preferred Home Health. Call anytime to discuss and setup an implementation appointment with a Provider Preferred Home Health Registered Nurse Liaison.